The EPAEMSI project has come to an end but the partners will continue their work on adult education and mobility individually and jointly at European level with future projects. Thank you to all those who have contributed to making this project a success: organisations, trainers, staff and learners. In the meantime, the work being done during the last two years has resulted in a series of outcomes which are available via the European Shared Treasure - a Europe-wide database for Partnerships which aims to increase the visibility of projects across Europe and facilitate access to results and outcomes. Between 6th and 9th June 2014, Engage Youth Empowerment Services (EYES) hosted the seventh and final meeting of the European Partnership on Adult Education and Mobility for Social Inclusion (EPAEMSI), welcoming adult learners from disadvantaged social groups from Spain, Malta, Romania, Poland, Slovenia and Italy. The Project, co-funded by the European Commission through the Lifelong Learning Programme, aims at using the experience of the seven partner organisations on social inclusion and the active participation of adult learners from disadvantaged social groups in order to promote and improve social inclusion through education, in particular non-formal and informal education. During their time in the UK, the participants have taken part in a series of activities orientated at social inclusion through education. They first attended the presentation of the hosting organisation and its main projects, before experiencing the good practice of the hosting organisation: “the theatre of the oppressed”. Adult learners also got the opportunity to share with the other organisations, the work they have done at local level in preparation for this meeting. Finally, the experience came to an end with the intercultural celebration prepared by the adult learners for the members of the public and local organisations. In order to continue with the work of the project, before the end of the project, a series of activities will take place at local level with trainers/teachers and adult learners from each organisation reflecting on the good practice presented in Wolverhampton. 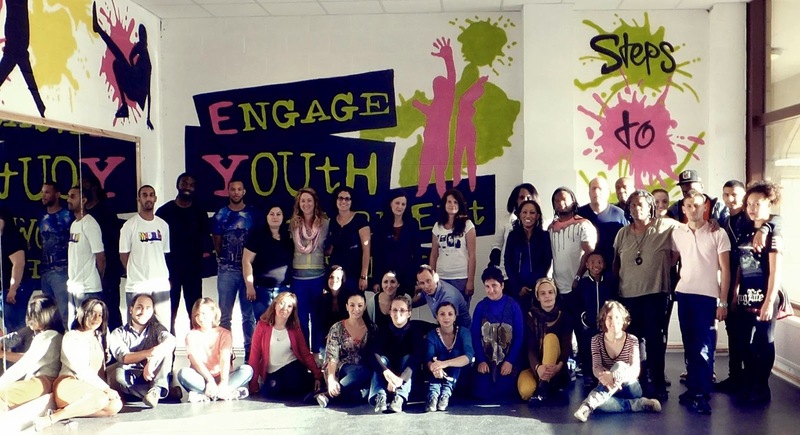 Engage Youth Empowerment Services (EYES) will be the host of the seventh and final meeting of the EPAEMSI project (European Partnership on Adult Education and Mobility for Social Inclusion) which will take place from 6th to 9th June 2014. They will be welcoming in Wolverhampton (UK), adult learners from disadvantaged social groups from Spain, Malta, Romania, Poland, Slovenia and Italy. After having received a pre-departure training in their respective countries, participating adult learners are ready to embark on this 4-day intercultural experience. During their time in Wolverhampton, and with the support of their leaders and of the British organisation, they will take part in a series of activities orientated at social inclusion through education. These activities will include a presentation of the hosting organisation and its good practice on education for social inclusion. They will also give the possibility to the adult learners to experience, on the field, this good practice. Finally, an intercultural celebration will take place, to which will be invited the visiting participants, the members of the public and local organisations. The aim of this project, co-funded by the European Commission through the Lifelong Learning Programme, is to use the experience of the partner organisations on social inclusion and the active participation of adult learners from disadvantaged social groups to promote and improve social inclusion through education, in particular non-formal and informal education. Throughout the two-year project, partners organise mobility activities and activities at local level in order to share their best practices on how to use education for social inclusion and bring light on the issue of social exclusion. Between 20th and 23rd February 2014, Cantiere Giovani hosted the sixth meeting of the European Partnership on Adult Education and Mobility for Social Inclusion (EPAEMSI), welcoming adult learners from disadvantaged social groups from Spain, Malta, Romania, Poland, Slovenia and the United Kingdom. 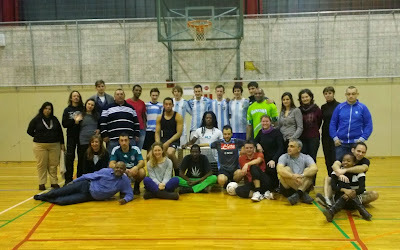 The Project, co-funded by the European Commission through the Lifelong Learning Programme, aims at using the experience of the seven partner organisations on social inclusion and the active participation of adult learners from disadvantaged social groups in order to promote and improve social inclusion through education, in particular non-formal and informal education. During their time in Italy, the participants have taken part in a series of activities orientated at social inclusion through education. They first attended the presentation of the hosting organisation and its main projects, before experiencing the good practice of the hosting organisation: an awareness campaign on sustainable mobility through photo-reporting workshop. Adult learners also got the opportunity to share with the other organisations, the work they have done at local level in preparation for this meeting. Finally, the experience came to an end with the intercultural celebration prepared by the adult learners for the members of the public and local organisations. In order to continue with the work of the project, before the final transnational activity in the United Kingdom, a series of activities will take place at local level with trainers/teachers and adult learners from each organisation reflecting on the good practice presented in Italy. 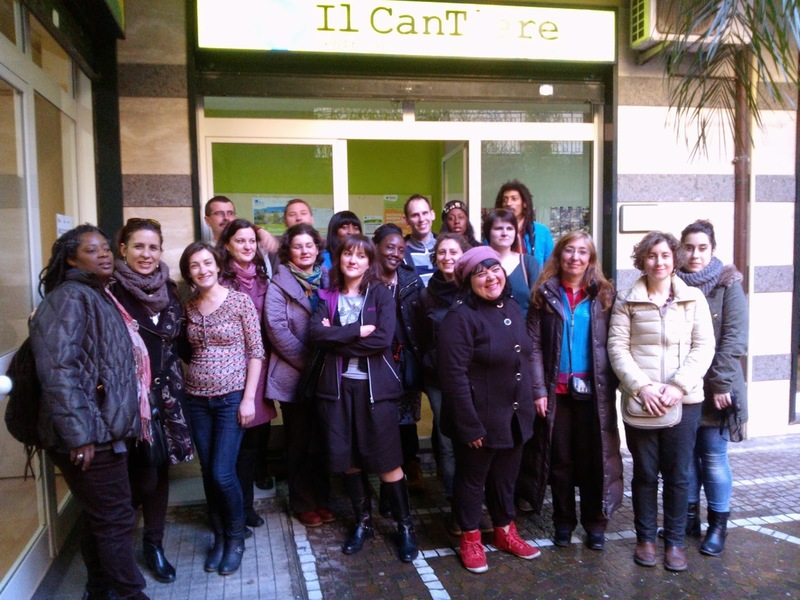 Cantiere Giovani will be the host of the sixth meeting of the EPAEMSI project (European Partnership on Adult Education and Mobility for Social Inclusion) which will take place from 20th to 23rd February 2014. They will be welcoming in Frattamaggiore (Italy), adult learners from disadvantaged social groups from Spain, Malta, Romania, Poland, Slovenia and United Kingdom. After having received a pre-departure training in their respective countries, participating adult learners are ready to embark on this 4-day intercultural experience. During their time in Frattamaggiore, and with the support of their leaders and of the Italian organisation, they will take part in a series of activities orientated at social inclusion through education. These activities will include a presentation of the hosting organisation and its good practice on education for social inclusion. They will also give the possibility to the adult learners to experience, on the field, this good practice. Finally, an intercultural celebration will take place, to which will be invited the visiting participants, the members of the public and local organisations. Between 6th and 9th December 2013, the Association of Nigerians in Slovenia (ANS) hosted the fifth meeting of the European Partnership on Adult Education and Mobility for Social Inclusion (EPAEMSI), welcoming adult learners from disadvantaged social groups from Spain, Malta, Romania, Poland, Italy and the United Kingdom. The Project, co-funded by the European Commission through the Lifelong Learning Programme, aims at using the experience of the seven partner organisations on social inclusion and the active participation of adult learners from disadvantaged social groups in order to promote and improve social inclusion through education, in particular non-formal and informal education. During their time in Slovenia, the participants have taken part in a series of activities orientated at social inclusion through education. They first attended the presentation of the hosting organisation and its main projects, before experiencing the good practices of the hosting organisation, including a Language and Culture Workshop and an Indoor Football Tournament. Adult learners also got the opportunity to share with the other organisations, the work they have done at local level in preparation for this meeting. Finally, the experience came to an end with the intercultural celebration prepared by the adult learners for the members of the public and local organisations. In order to continue with the work of the project, before the next transnational activity in Italy, a series of activities will take place at local level with trainers/teachers and adult learners from each organisation reflecting on the good practices presented in Slovenia. The association of Nigerians in Slovenia (ANS) will be the host of the fifth meeting of the EPAEMSI project (European Partnership on Adult Education and Mobility for Social Inclusion) which will take place from 6th to 9th December 2013. They will be welcoming in Ljubljana (Slovenia), adult learners from disadvantaged social groups from Spain, Malta, Romania, Poland, Italy and United Kingdom. After having received a pre-departure training in their respective countries, participating adult learners are ready to embark on this 4-day intercultural experience. During their time in Ljubljana, and with the support of their leaders and of the Slovenian organisation, they will take part in a series of activities orientated at social inclusion through education. These activities will include a presentation of the hosting organisation and its good practice on education for social inclusion. They will also give the possibility to the adult learners to experience, on the field, this good practice. Finally, an intercultural celebration will take place, to which will be invited the visiting participants, the members of the public and local organisations. All documents available on this website are available for free use and re-purposing by anyone. Simple theme. Powered by Blogger.